The life you’re walking into … it was never meant to be second best, like a waiting room until you get the things you really want. It was meant to be the story that brings you the most joy, sets you up to know God the best. God rigged it that way, not because He doesn’t love you … but because He does. I wouldn’t have called myself boy crazy in college. I had great friends, guys included. I dated a little, but for the most part, I wouldn’t say I was worried about it. I was just living my life. But that lack of worry betrayed a very present reality – I always had a quiet, deep-set desire for marriage that I just assumed would work out by the time I got a diploma. And when it didn’t, suddenly all of that delayed worry caught up with me. I felt like I had been thrown out into a big, blank future in which the plans I’d always had didn’t make a lot of sense anymore. Up until now, all the steps had pretty much been laid out, from kindergarten to a bachelor’s degree. I didn’t have a road map for a life that didn’t include the logical next thing – a husband and family. I had coffee the other day with a new friend who’s graduating from college this month, and she said what I remember feeling in that season of life – that she never thought she’d be heading out into the wild blue yonder of adulthood alone. She thought she’d be engaged by now, and she was nowhere close, not even a prospect in sight. So for all my sisters in that same spot, I wish I could offer you a chair, hand you a cup of coffee, give you a second to take a deep breath … and tell you a few truths to tuck in your heart as you walk off your campus and out into the world. 1. God hasn’t forgotten you. When others around you are booking the campus chapel and you’re buying multiple bridesmaids dresses, it’s hard not to think that God might’ve missed a step somewhere along the way. But I promise you … He hasn’t. And the fact that He hasn’t brought you the same thing He’s brought some of your friends doesn’t mean He loves you less, or that you did anything wrong, or that you’re less than. I remember after college thinking that the way I’d grown up viewing God didn’t add up in this new single space that soon stretched from days into years … I thought a life of obedience would naturally give way to the kind of life I had always expected. What I’ve learned since is that God’s story isn’t a Southern culture formula, or a church culture formula, or even a “there’s a right person out there for everyone” formula. It’s a giant, intricate story with billions of moving parts that are designed to be beautiful and messy and amazing and have only this goal – for you to know God as well as you possibly can, to share that with others in the best way possible and to spend eternity face to face with Him. There are some things we as a culture say to each other, things like “the right person will come along when the time is right,” or “God’s timing is perfect, just keep waiting,” and they sound good in the moment. Most people who have a spouse, I’m sure they would say that they came along at the right time in their lives. And God’s timing is perfect – that we know. But nowhere in the Bible does He promise to bring you or me a spouse. What He promises instead is that if we totally let go of the things we hold onto in this world – houses, lands, families, or dreams of all of the above – He would be everything we need and give us more and more of Himself, to the point that we can’t hold it all. That, friends, is the kindest thing He could give us, not a husband and kids. For me, that meant reading His Word and praying to know Him for who He really was, not the God I always thought would be the means to the dreams I had for myself. It meant seeing who He was to the point I wanted to trade everything I had for the field with the treasure buried in it. I wrestled a lot. It took some time to let all that go and let God start to replace it with Himself. But the story He wrote for me in that space was one of overflowing joy. An amazing sense of His presence. A desire to know Him more. Some of you will get married at some point down the road. Some of you won’t. From day to day, we never know what might happen in God’s story, that great big narrative that we get to be a part of. But I encourage you … let go of the desire to orchestrate things, or control them, or make decisions based on what you don’t have yet. In Christ, we have everything. Don’t wait to let go. Don’t wait to chase God with abandon. 2. The life you’ve got isn’t a consolation prize. So … dive into it. Don’t make yourself busy to try to fill the gaps in your heart, but ask God to guide you to the places where you can invest your life. Places where you can get to know people. Places where you can help others know God too. I have friends who are foster moms. They don’t foster kids because they are trying to fill the “motherhood” desire themselves … they do it because they feel compelled to use their gifts with kids to care for the orphan. I have friends who are teachers, single missionaries, businesswomen, mentors and a hundred other things, and they feel like God put them there on purpose. Are there struggles? Sure. But can God be everything He says He is? Absolutely. There are a thousand things you can do and be. Ask God to be your everything, and then in His leading, go find them and do them. 3. Know that it’s okay. Promise. There are so many women out there walking the same road. So many. I meet them all the time, by the dozens. Find them. Get together and share the struggles of broken dreams … but spend even more time talking about who God is and what He’s doing in your life that’s good. Spur each other on to know Him, to know the life He has for you. Now go and truly live. 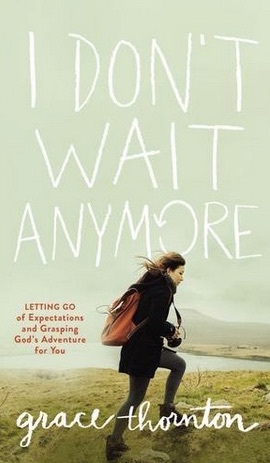 “I Don’t Wait Anymore” the book, now at a variety of retailers. Check it out here. It’s the story of shaking off broken dreams and expectations to follow God to something better — to a far better story, to a life of knowing God as the prize worth our whole lives. ← 3 ways to guard the single women in your life. I can’t explain how much I needed to read this. The Lord knows that I have struggled with this for the past year and he used you and your words to bring hope back into my heart. Thank you for sharing and being obedient to the Lord’s calling in your life. God Bless you. I am almost 59, never been married, yet, and I KNOW God has me in ALL things. I really enjoyed reading this, there were some new truths for me here. I appreciate your insight. Or you’re a-ok because you’re 22 years old and you have more than 80% of your life left to love. Relationships aren’t something you pray for, they’re something you build. This is GOOD. And I something I wish I’d realized at 22… or 32 for that matter. Now I’m 40, I’ve been married two years and have a 8 month old baby. But this came well after I had gone through almost two decades of struggling with being single, wondering why God wasn’t coming through with the life plan. I unexpectedly met my husband at age 37, at church of all places, which I really didn’t expect… not because I didn’t want to date a Christian man, but because all my life at every church I’ve attended, all over the world, single Christian women outnumber the single Christian men. Of course God’s timing was perfect – looking back I see so many good things, everything in its season, but while I was in those seasons it was a struggle, often tear and/or anger filled. And what I have today came after I had truly, truly sacrificed my desire for a husband and kids on the altar. It took me a long time to get there, but once I did it was so freeing and I found joy in who and what and where I was. I don’t think the husband and baby came BECAUSE of that sacrifice, I don’t think God works that way, that’s just the way it happened (and that’s probably a whole book) – but I think however my life had turned out, whatever road I’d found myself on, that sacrifice had to be made and I’m so glad I learned it. 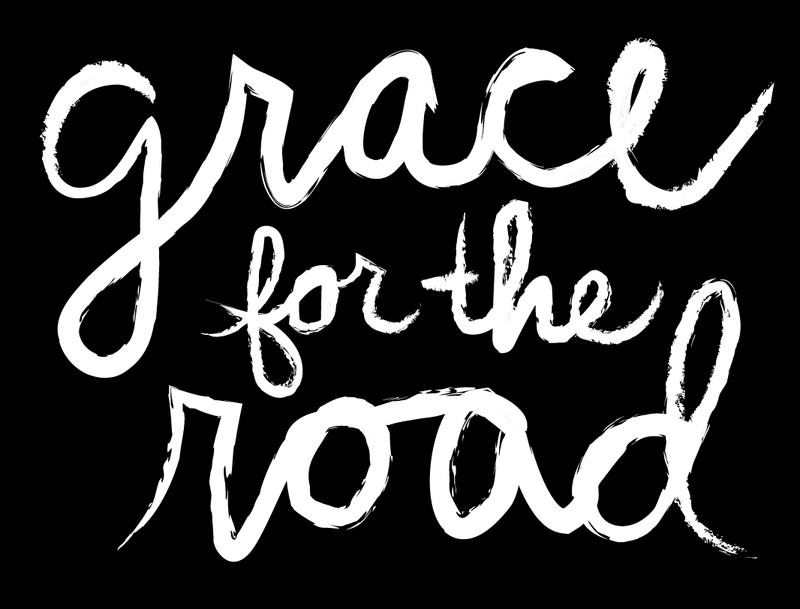 Love this, Grace! Working with college & post college students, this is probably the number one question: now what? It’s so hard to live in the present. Appreciate your heart on this!! I’m a few years shy of graduating college so this isn’t 1000% applicable, but this is something I’ve had to learn and God has had to work within my heart. I love this and am so glad to know that I wasn’t the only one dreaming of relationships and feeling like God was ignoring me. Amazing post! Your comment about thinking that a life of obedience would naturally give way to the kind of life you had always expected reminds me of a quote from Nik Ripkin’s The Insanity of God: “I knew that God never promised to reward obedient sacrifice with measurable success.” He does not promise us the things that we want. But He does promise to never leave us nor forsake us. He does promise us a life of eternity with Him. His goal for us may not be marriage and family. His desire for us is that we are conformed to the image of His Son, Jesus, no matter. This is the truth. I waited for a husband til 28. Oh, the joys I had just loving and serving God without the distraction of family. That is not to say that family is not good. It’s just different. As the apostle Paul said, as a single person, we don’t have the worries and caring for a family, we can be totally devoted to God. Thanks for this. You wrote it much better than I ever could!